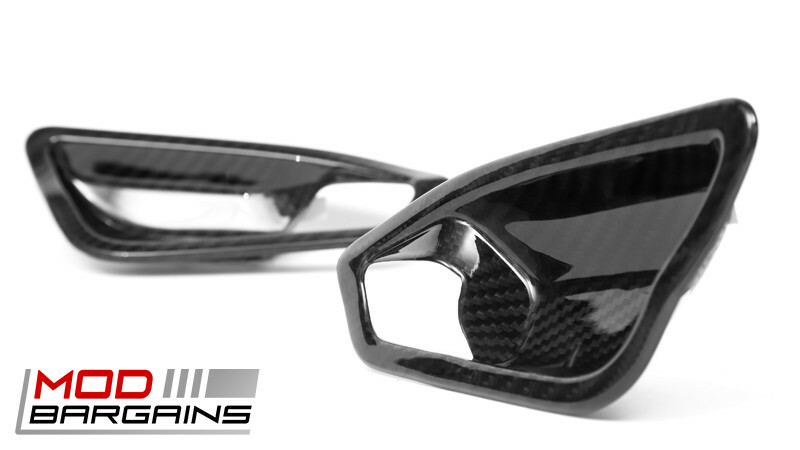 Liven up your interior with these Carbon Fiber door handle trims! These stylish pieces are durable and high quality to match BMW quality and pair well with factory Carbon Fiber pieces. Use them to compliment existing pieces or as a standalone subtle accent piece. There is one area of any car that is most often overlooked when it comes to modification or updating. We spend most of our time with only our interior in view but we prioritize exterior and performance modifications. Driving your car shouldn't always be about going fast and looking impressive, making your interior a place that you like to be in is a luxury you deserve. 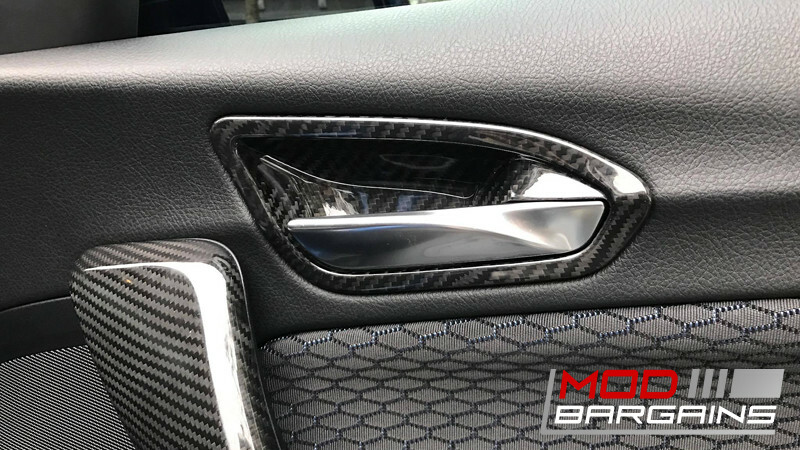 With these carbon fiber door handle trims you can get rid of the boring factory trim and make your interior a place you're happy to be in. These will make a great addition to any existing carbon fiber interior pieces, or can be an excellent first step towards sprucing up the rest of your interior. Give your interior a little bit of love and you'll thank yourself every time you get behind the wheel. Average Customer Review: 2 Based on 1 Reviews. Product was shipped very well. Great quality product. However, ModBargains failed to mention that this piece is for a 2 series without the ambient lighting. If you have ambient lighting on your F22/F23 2 -series installing this product will block that from your door handles. Now, I have to suffer a 25% restocking fee and lose money when ModBargains did not explain the product correctly. The actual manufacturer of this product (AutoTecknic) produces the door handle cover for those who have the ambient lighting for just a few dollars more. Should have bought it straight from the manufacturer. Very disappointed. Won't make the mistake of buying it here again, that is for sure.